Do you have one or more missing teeth? 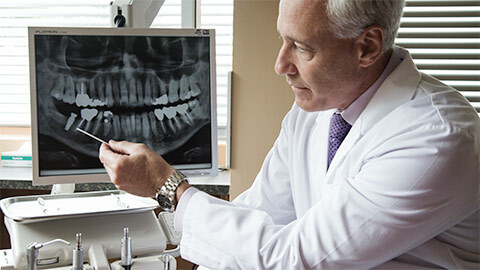 Has your dentist has recommended dental implants as a possible solution for replacement teeth? Park Lane Dental Specialists provide dental implant placement services from our office in downtown Halifax. 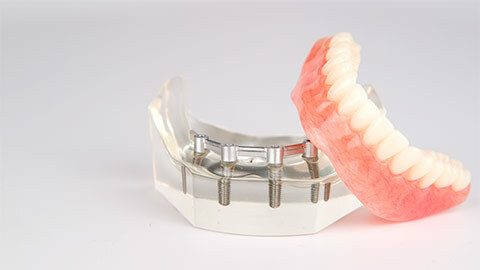 Because dental implants will be the foundation for your replacement teeth, it is vital that they are placed correctly. With years of experience in placing implant-supported restorations such as crowns and bridges, you can be sure that we will provide you with a solution that will provide you with a healthy long-term solution. Depending on your individual case, we may use regular or “mini” dental implants. A dental implant is a replacement tooth root that is made from a synthetic material, usually titanium or titanium alloy. After careful analysis to determine the best location for the implant or implants, the implant is surgically placed into your jaw where it is secured in your jawbone. Over time the bone tissue of your jaw integrates with the implant, forming a natural biological bond similar to the bond between your jaw and your natural teeth. Once the implant is fully healed, we can use it to support restoration such as a crown for a single tooth or an implant-supported bridge or denture for multiple teeth. With proper cleaning and care your implants will support your replacement teeth for a very long time. Some patients may be candidates for mini implants. These implants, which are smaller than traditional implants, can be placed with a minimum of surgical intervention and fit in narrow areas. Mini implants are generally less expensive than traditional implants and can be used in situations where there has been a reduction in the amount of bone tissue in the jawbone. If you’d like to know more about dental implants, give us a call today.